April Mug Rug of the Month will be available April 2nd. Come on in and get your kit! Only 3 days left - Spring Cleaning Sale. All floor care products (vacuums, sweepers, accessories and chemicals) in both stores are 30% OFF through the end of March. Some great classes coming next month with Keril from Stashtools. Check out the Jellyroll Race with Stones and Wedge, Table Runner or Placemat. 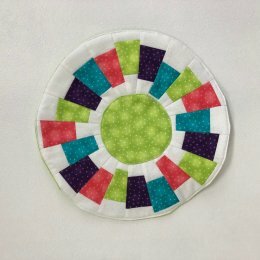 Rocket City Modern Quilt Guild meeting April 17 at 6:00 PM. Come check them out.